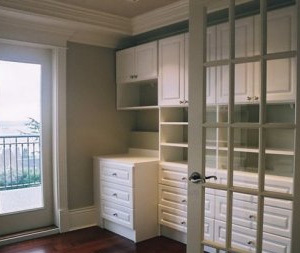 Our wood closets offers many different colors of wood melamine finishes with chrome rods and customized accessories. Generous drawer and shelf space serve as a customized dresser. Drawers are available in four sizes. Wood Melamine is wall mounted or floor mounted. Finest grade board and fittings are used for strength.